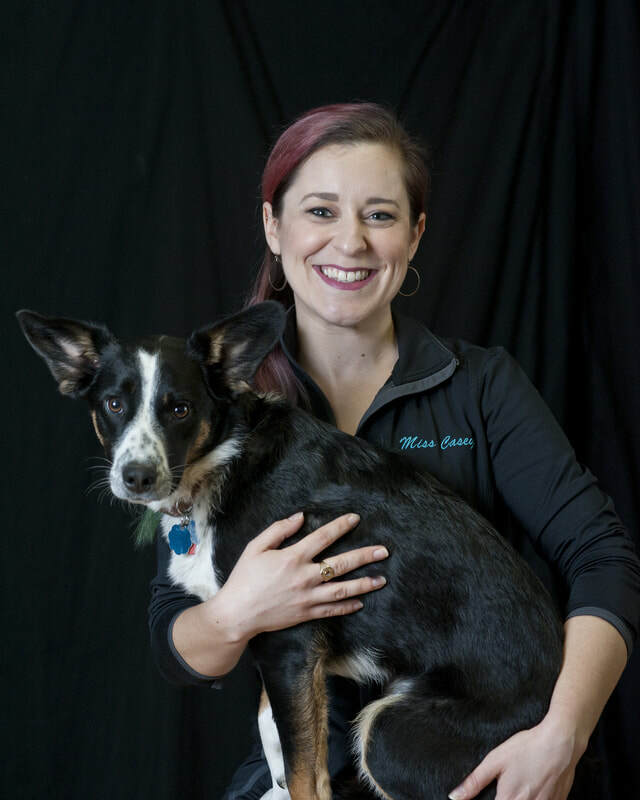 Ozzie was adopted by Miss Casey from Blue Ridge Border Collie Rescue ​in May of 2017 just before AIM's 5th Annual Spring Recital. He quickly became a part of the AIM family, tagging along with Miss Casey to the studio most days of the week. Ozzie is very gentle and friendly, but if any dancers or their family members aren't comfortable around dogs, he's not offended at all and doesn't mind spending time in his crate under the front desk. 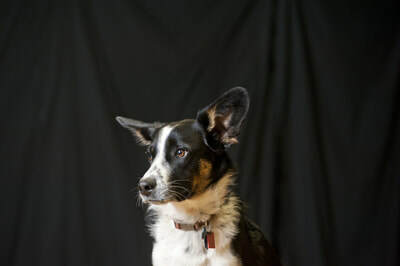 He received his early training in Petco's puppy classes and continues working on fun tricks like jumping through hoops, weaving through legs, and crawling. You can often find him at the studio observing classes; he loves watching dancers rehearse! When not at the studio, Ozzie enjoys long walks at the park, playing fetch, practicing jumping over fences, and snuggling at home on the couch.